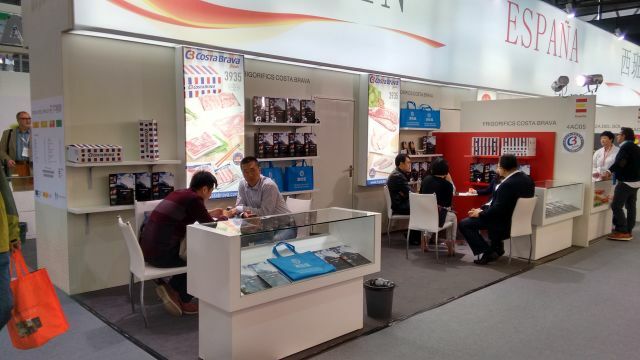 Frigoríficos Costa Brava attended the 19th FHC China, one of the most important food trade fairs in China which takes place every year in Shanghai. The fair, which took place from 11th to 13th November, is divided into national and regional pavilions where each company displays its products. Frigoríficos Costa Brava had its own stand situated, specifically, in Hall 4AC05. This year, 2015, the fair had 2150 participating companies coming from 66 different countries and regions.